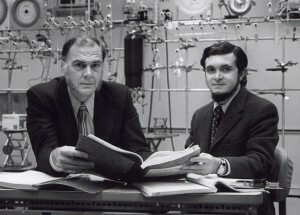 This week saw the death of one of the great scientific pioneers of modern environmentalism – F Sherwood Rowland, a Nobel Prize-winning chemist who, along with his student Mario Molina, identified the link between CFCs and ozone destruction and in doing so not only helped to alert the world to an environmental disaster but became a key player in a battle between big business and science that continues to this day. Like many scientists who become political figures, he got there by chance, and in part through the actions of those who sought to rubbish his work for their own ends. In 1974, when Rowland and Molina presented their findings on the damage that CFCs were causing, they were immediately attacked as scaremongers. Shortly afterwards, a senior DuPont official described the ozone science as “pure science fiction”. Some went further; according to the New York Times, an article in Aerosol Age implied Rowland and Molina were KGB agents. At the same time, the chemical industry hired PR companies and front groups were set up to try to spread confusion about the science. When challenged to produce peer-reviewed evidence to this effect, he could not. If any of this sounds familiar, it’s because it is. The tactics used to spread doubt and confusion over the science were the same as those being used today. Those who argue on behalf of the science on climate change are frequently attacked as part of a global conspiracy, with communists or radical environmentalists often being identified as the culprits. Other, subtler critics say the links are unproven and that it would be premature to act. Yet these tactics are hardly new, and go back even further. In the 18th and 19th centuries, as abolitionists in Britain fought to ban the slave trade, many of the same arguments were trotted out. Some said that the economy would collapse without the cheap energy the slaves provided. Others said it was a pointless measure because competitors in France, America or Brazil would simply keep trading, and British traders would relocate. As public opinion turned against the trade, ship-owners and investors fought back, arguing that conditions had improved and they were becoming responsible industrialists. They smeared their enemies as socialists and agitators but, in the end, they lost. It is worth remembering this as we press for greater action on climate change, such as through the review of the European Union’s F-Gas Regulation. Activists, scientists and campaigners can become disheartened. All the evidence can be marshalled and be on your side, only to be dismissed as unworkable, naïve or politically impossible.